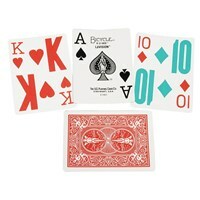 Bicycle brand low vision playing cards. 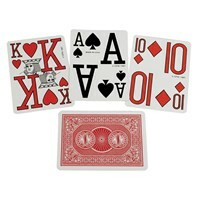 These cards have each suit in a different colour, and the numbers and symbols are half the height of the cards. 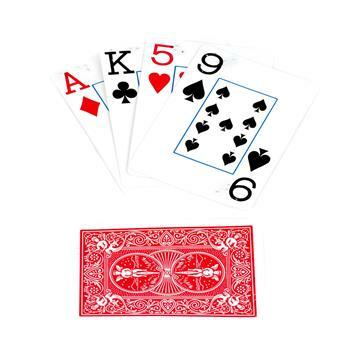 These cards are poker size.